Phoenix Controls is focused on Energy Efficient Solutions for Critical Enviroments. Phoenix Controls provides precision airflow and environmental control for all areas requiring critical air flow or pressurization control. Only the Phoenix Control's venturi air control valves provide stable and accurate control in applications such as; Wet Chemistry, Life Sciences, Healthcare, Cleanrooms, Laboratories, Pharmacies and other critical spaces that require directional airflow control. Safety plus savings sums up what is important is the combined concern for life safety concerns and energy conservation. 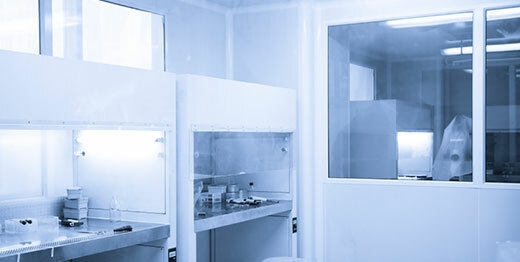 Critical Environments such as laboratories, hospital spaces, pharmaceutical process areas and bio containment facilities demand precision airflow control. Without it the results are higher energy costs and unsafe conditions for staff and/or patients. Phoenix Controls airflow control solutions allow you to use lower levels of conditioned outside air — saving you money while keeping people safe and preserving the integrity of your work. And unlike our competitors, Phoenix Controls meters airflow versus measuring airflow. Our Accel® II venturi valve, the core of all our airflow control systems, uses simple, highly accurate, very reliable flow control technology that is superior to any flow measuring techniques on the market today. With almost 1 million Phoenix valves installed worldwide, we are making a difference in the daily quest for a greener workplace and a healthier planet. Copyright © 2019 Flow Control Technology Company LLC. All rights reserved. | Online marketing by Webtivity Designs.